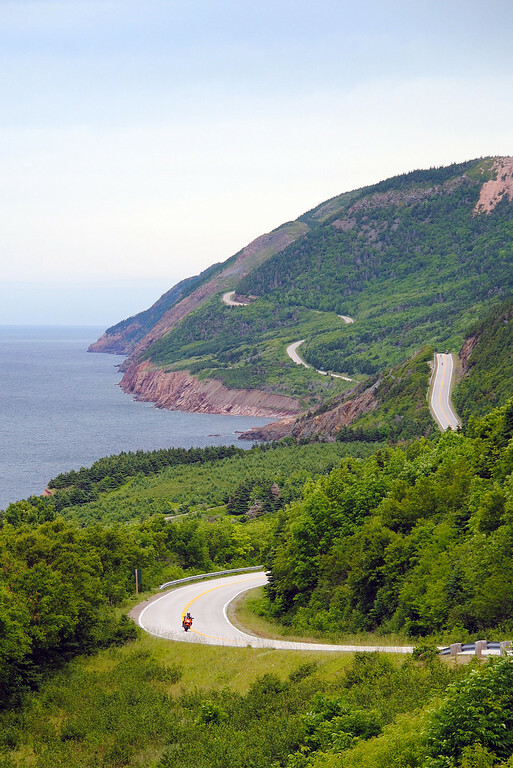 The Cabot Trail is the jewel of Atlantic Canada's tourism industry, especially if you're a motorcycle rider. 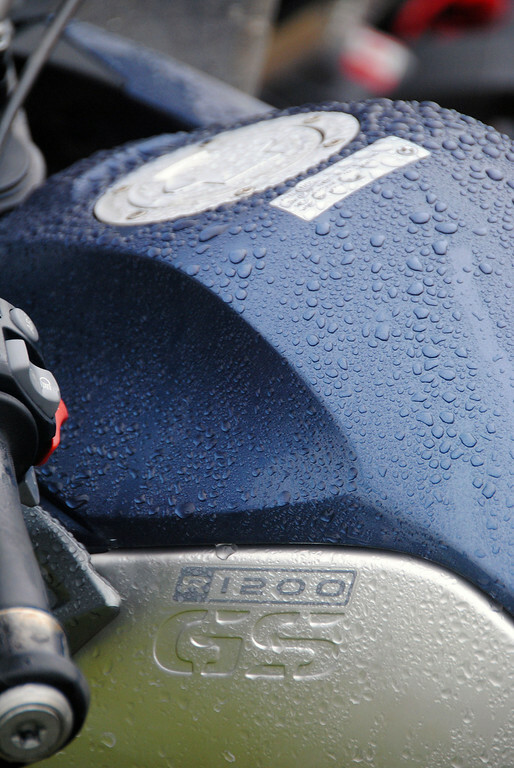 It is considered by many to be a destination highway, like the Tail Of The Dragon in NC, Sea-to-Sky highway in BC, and the Stelvio Pass in Italy. 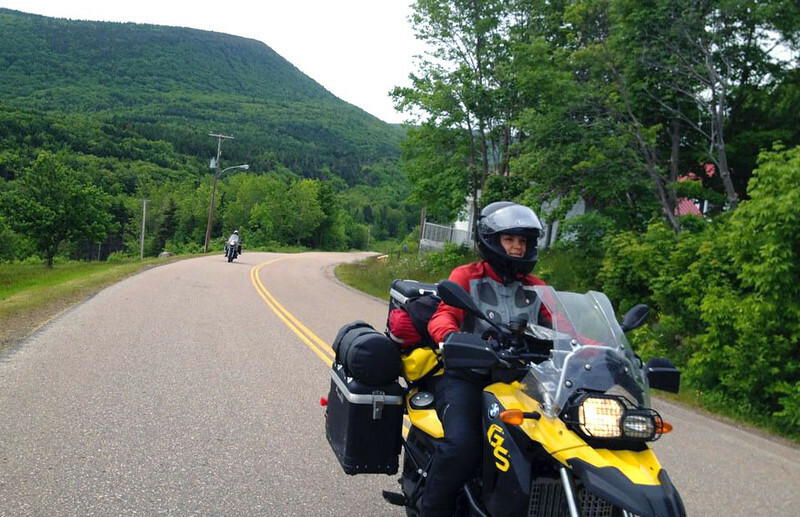 We were camped the night before just outside of Cape Breton island and only had a couple of hundred kms to reach the beginning of the Cabot Trail in St Anns, after circumnavigating the south-east section of the island. The decision was to ride the coastal road of the Trail counter-clockwise so we would experience the scenery of the coast to our right. 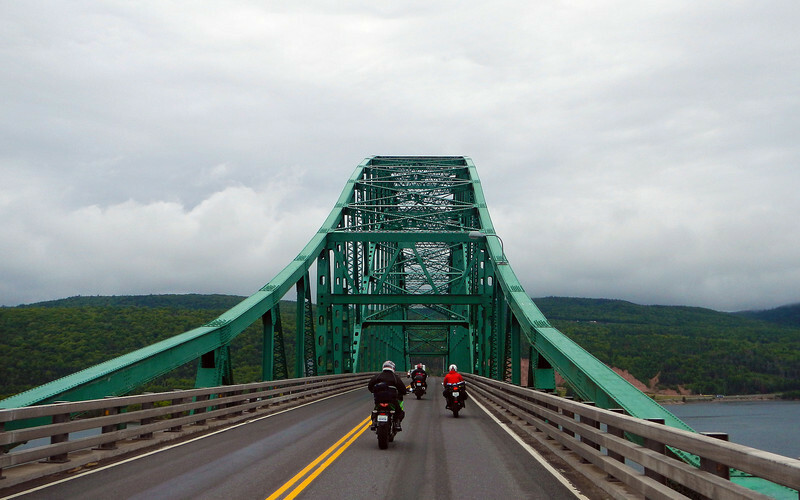 We left most of the planning and ride leading to Khanh, on his custom-painted VFR800, as he led us into the heart of Cape Breton. It was a really big change in rhythm as we rode with 6 other riders and at times we split up into two groups of four to keep things manageable, but the light traffic on the island meant stayed together as a group for the most part. The dynamics of group riding also changed with this many riders, as we had to make changes for different paces, following styles, endurance and also personalities. Fortunately, we had all ridden with each other before and it was a quick adjustment to find a group order and pace that we were all familiar with. 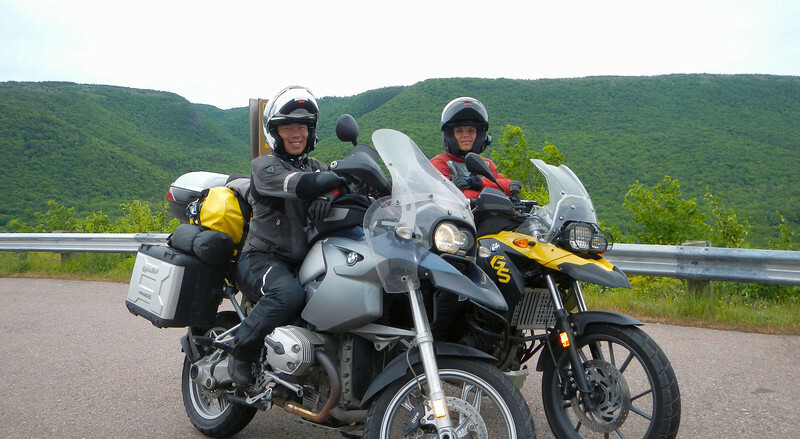 Neda and I met these guys at a group ride last year and we found it very enjoyable and comfortable to hang out and ride with them, and we were really looking forward to spending 10 days in the Maritimes with them. Like dating, finding good riding partners is sometimes hard to do, but over the years we've managed to find some really cool people that we love touring and doing day rides with. 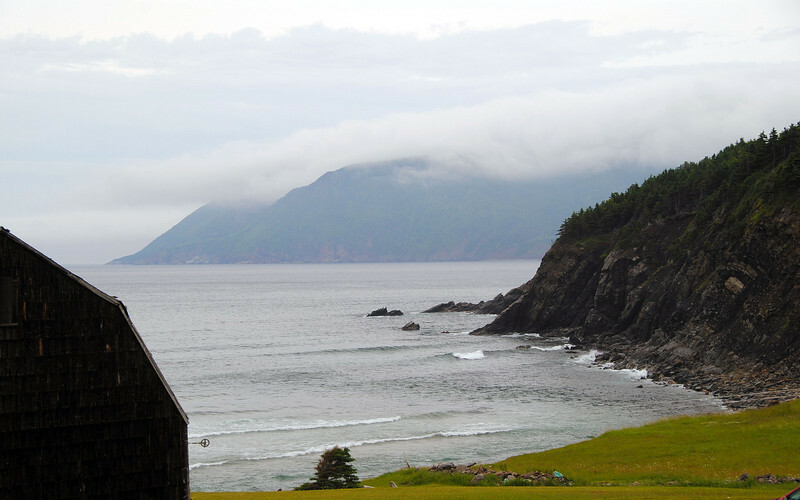 We booked into a 4-bedroom cabin that we found in South Harbour, right in the middle of the Cabot Trail. It's nice to share a whole place like this with a bunch of people, besides the social aspect, it's cheaper than what we've been paying for campsites the rest of the trip! 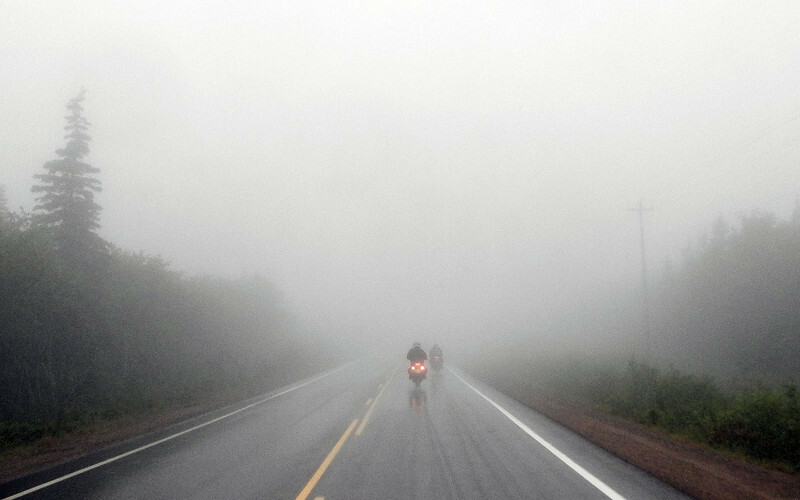 With wet riding gear and rainsuits strewn all over the place, we waited out the rain for the night and prayed for better weather tomorrow. 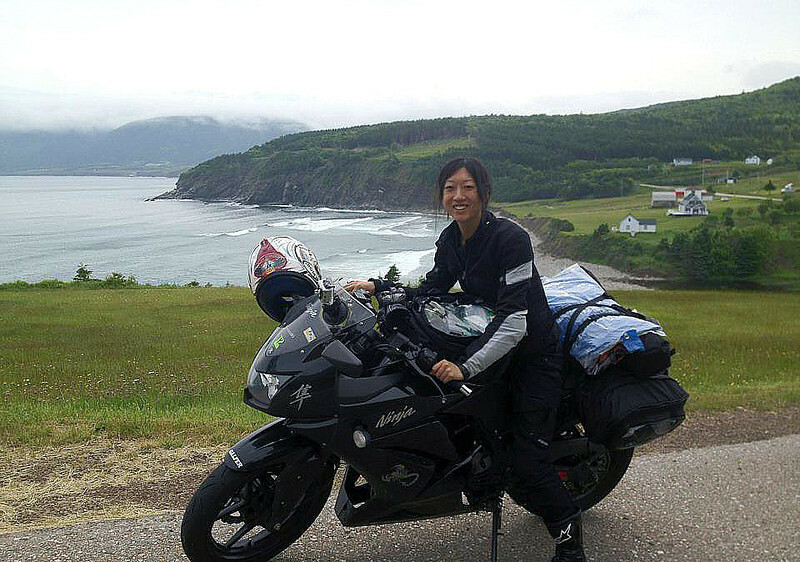 Our prayers were answered with a beautiful day on the western leg of the Cabot Trail. 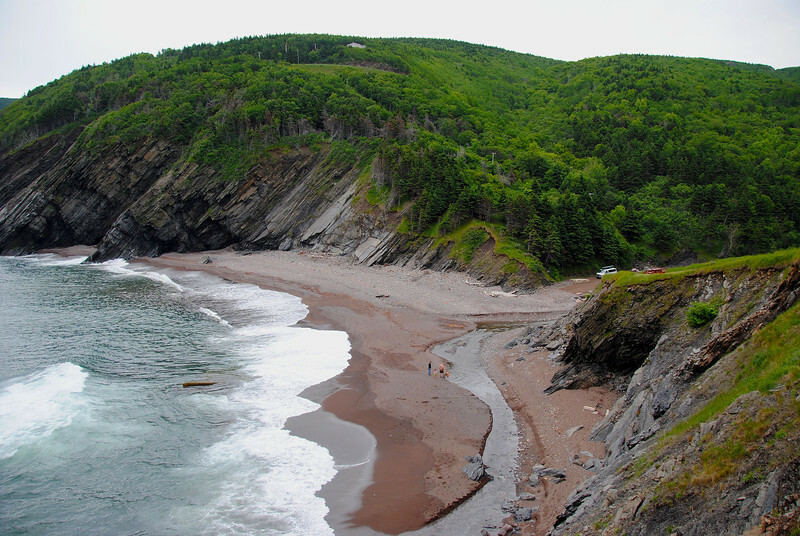 We were recommended to take a side-trip up to Meat Cove, with magnificent views off the cliff of the north coast. 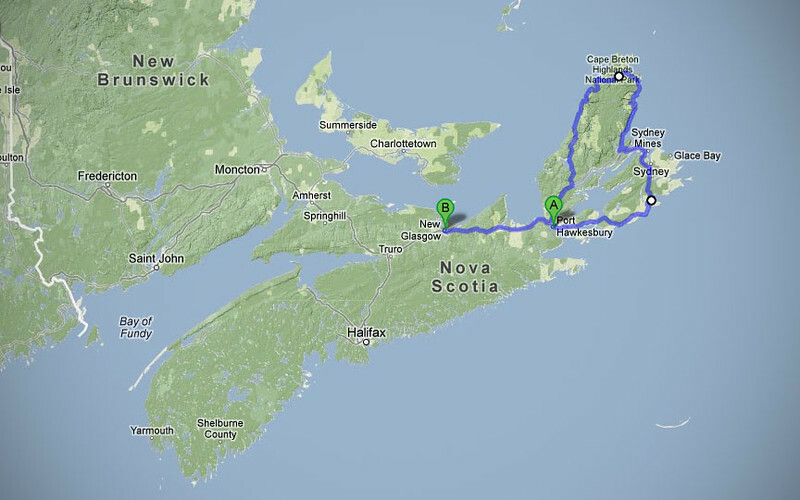 Meat Cove road is gravel for about the last 10 kms, but our street bike brethren did well! The twists and turns were a welcome change from the slabbing we had been doing the last few days. And set against the backdrop of the blue waters of the Gulf of St Lawrence and the clear skies above just made the riding day perfect! 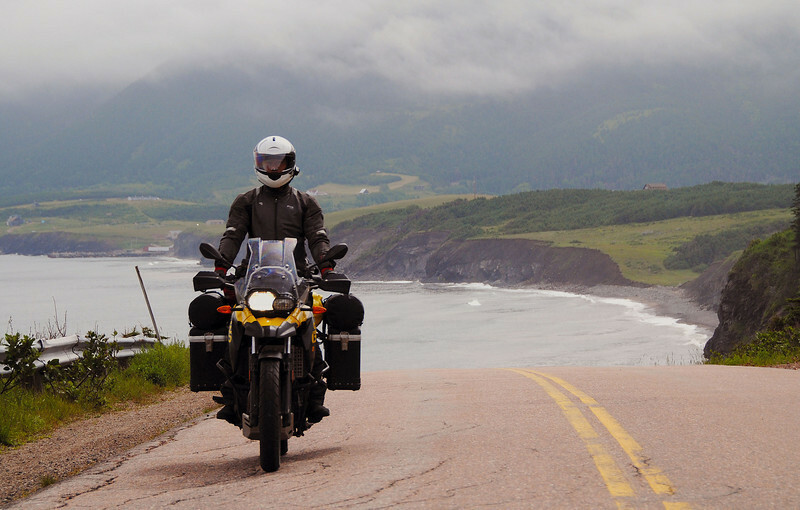 Scenic pullouts regularly line the Cabot Trail every few kms, offering picture-taking opportunities of the coastline, but we pass those up gobbling up the curves with unbroken rhythm! We ended the day at the Caribou and Munroe's Island Provincial Park, just outside the ferry that would carry us to Prince Edward Island tomorrow morning.